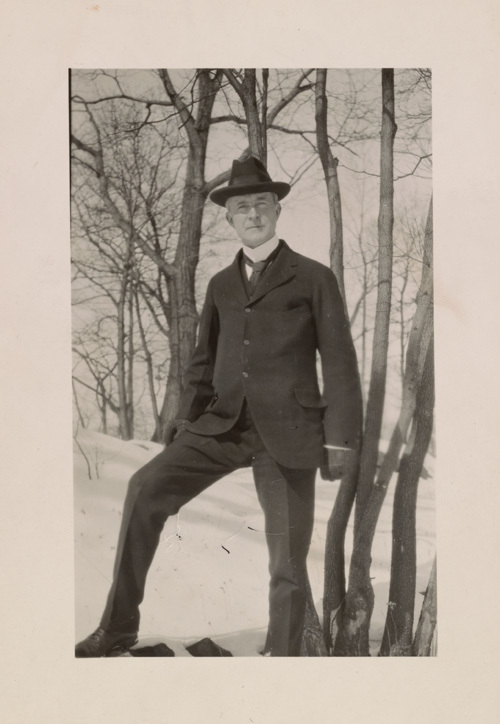 Nicknamed the “Noble Buyer,” John Quinn (1870-1924) was an established attorney in New York City with a penchant for politics, contemporary Irish literature, and modern art. He began collecting fine art prints around 1900 and by the time of his death in 1924 amassed a collection of over two thousand works by 151 artists, including Constantin Brancusi, Paul Cézanne, Paul Gauguin, Vincent van Gogh, Henri Matisse, and Pablo Picasso, as well as noteworthy examples of both African and Asian art. Although today these artists are venerated modern masters, prior to 1913 their names were virtually unknown in America. Quinn was thus on the cutting edge of American collecting and his progressive spirit brought him into contact with many New York-based artists and critics, including several Armory Show organizers. Quinn’s passion for art combined with his legal expertise made him a valuable asset when planning the exhibition: he incorporated the Association of American Painters and Sculptors, served as their pro bono legal advisor, and signed the lease for the 69th Regiment Armory. However, Quinn’s most important contribution to the Amory Show was as a patron, lending and buying more artworks than any other collector or dealer. His loan included seventy-five works by artists such as Cézanne, Van Gogh, Puvis de Chavannes, and Augustus John and he spent nearly $6,000 on a variety of artworks from the lithographs of Redon to the paintings of Walt Kuhn and the cubist sculptures of Duchamp-Villon. According to a 1909 congressional tariff, Americans were required to pay a 15% tax on imported artworks produced in the last twenty years. In an effort to repeal the tariff in advance of the Armory Show, Quinn appeared before the House Ways and Means Committee arguing against the tax. Although it was not repealed in time for the exhibition, the tariff was overturned in October 1913 and Quinn’s advocacy helped promote the sale of modern European art in America in the wake of the Armory Show.